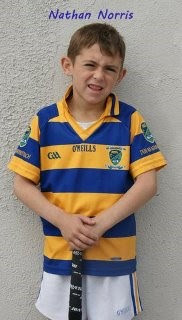 Underage hurling training for U5, 6, 7 and 8 will take place this Saturday morning 29th August in the club grounds. The session begins at 10:30. We are looking forward to seeing some of the new faces that participated in the ‘Hurling on the Green’ come and join in our regular Saturday sessions. All children are welcome to attend. On Thursday last we took on Roanmore in the 5th round of the county minor hurling championship at home. After a good display by everyone involved we came away with victory on the night. We are now after winning all our matches in the group stages so far and have qualified for the knockout stages. Our next match at this level takes place on Thursday, 3rd September against Clonea in Clonea. On Monday of last week we took on De Le Salle in the under 16 hurling championship. On the night the city team were slicker and sharper to every ball and came away with a comprehensive victory. Our next match up here is next Monday night the 31st August at home to Mount Sion. Pride and place this week goes to our under 15 football team who on Sunday last won the Under 15 Western Football Final against a gallant St Oliver’s team. On the day the lads played some lovely football and many thanks must go to all the players and mentors involved. We were beaten in the 5th round of the County Under 14 Hurling Championship this week against Passage. Next match here is against Lismore in the quarter final on the 7th September. We would like to wish everyone involved in the Tony Forristal and Sonny Walsh tournaments this weekend well. We have three players involved and of course we are represented on the Tony Forristal team by selector Michael Kelleher also. 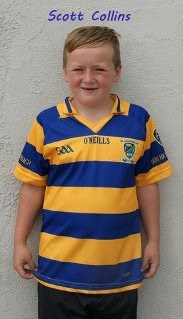 Our Under 13 hurlers were due to play Lismore last night Tuesday in the under 13 championship. At the time of going to print the result of this match was not available but will be included in next week’s notes. Hurling on the Green will take place this Wednesday night, 26th August between 7:00pm and 8:00pm in Sallybrook.